Born on 1st January, 1946 at village Dhingano Bozdar, District Hyderabad in a religious and respectable agriculturist family. His late father Al-Haj Rais Khan Muhammad Khan was highly religious philanthropist, social reformist, and enthusiastic educationist, and commanded high respectability amongst various local tribes. After completing Primary education at the village School, was admitted to Sindh Model High School Tando Allahyar and Matriculated in the year 1961. Graduated in Arts from University of Sindh with Economics and Political Science in the year 1969 and was placed in First Division. Took keen interest in literature and Arts; worked for awakening of rural masses, and social and educational upliftment of down-trodden people. Studied law at Hyderabad Sindh Law College and passed LL.B in the year 1976, from Sindh University. Enrolled as an Advocate in the year 1980. Actively pursued legal profession for 20 years, till elevation to the Bench. Practiced on Civil, Banking, Corporate, Labour and Service Laws. Taught International Law, Constitutional Law, Law of Contract and other subjects at Sindh Government Law College Hyderabad. 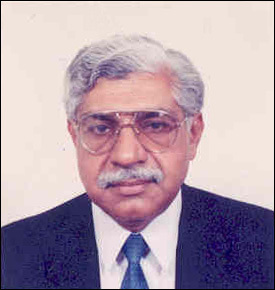 Remained Legal Advisor to National Bank of Pakistan, besides other statutory bodies run under the control of Federal and Sindh Governments. Conducted cases on behalf of Federation of Pakistan, Pakistan Railways, P.T.C.L. and local authorities. Worked as Retainer Legal Advisor for a number of prestigious Industrial Organizations. Elevated to the bench on 10th October 2000. Nominated by full court as Member Provincial Selection Board for Judicial Officers in the year 2003, and subsequently as convenor/Senior Member of the Board. Nominated as Chairman, Sindh Subordinate Judiciary Service Tribunal in the year 2005. Member of Election Tribunal to hear appeals against the orders of Returning Officers of acceptance or rejection of Nomination Forms for National Assembly and Provincial Assembly; Nominated as Election Tribunal for Sindh Province to adjudicate Election Petitions (General Elections 2002). Nominated as Member Govering Body of Ziauddin Medical University Karachi, and Member Board of Governors, Isra University, Hyderabad.